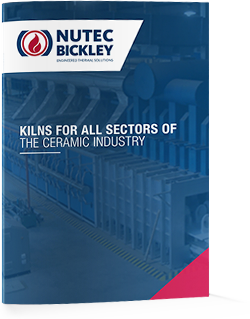 Nutec Bickley offers a vast array of different kiln designs to fire Technical Ceramics. The Elevator Kilns, Carbell® Kilns, Tunnel Kilns and Shuttle Kiln can be used to achieve the optimal efficiency while firing technical ceramics. Our kilns can be designed to fire at temperatures up to 1,800°C (3,200°F). Nutec Bickley provides Industrial Tempering Furnaces with the best technology of the industry. SCADA systems for ease of operation and product quality management. We design and manufacture kilns for the ceramic industry using leading technology and best practice. Contact us or request a quote, tell us about your project to help you better.